A computerized tomography (CT) scan uses radiation to take x-ray images from lots of different angles to create cross-sectional images of the body. A CT scan can get very accurate images of bone, soft tissues, and blood vessels. CT images are more accurate than traditional x-ray images. Because a CT scan utilizes radiation, it is not suitable for some patients, such as young children or pregnant women. 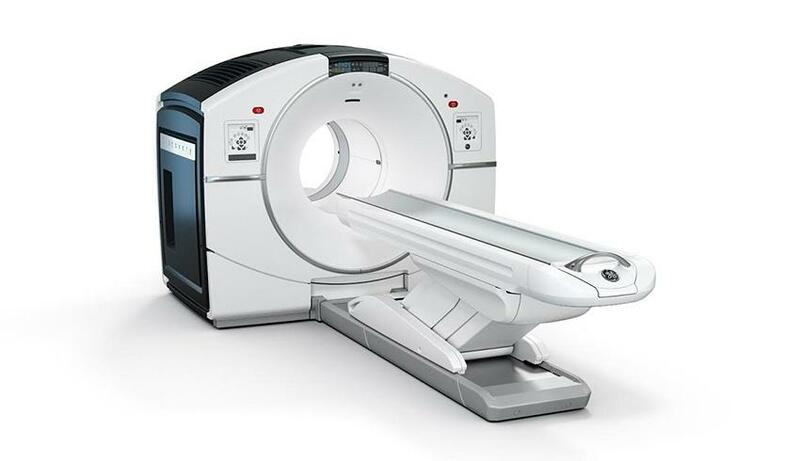 A CT scan is very quick, usually only a few minutes, and painless. 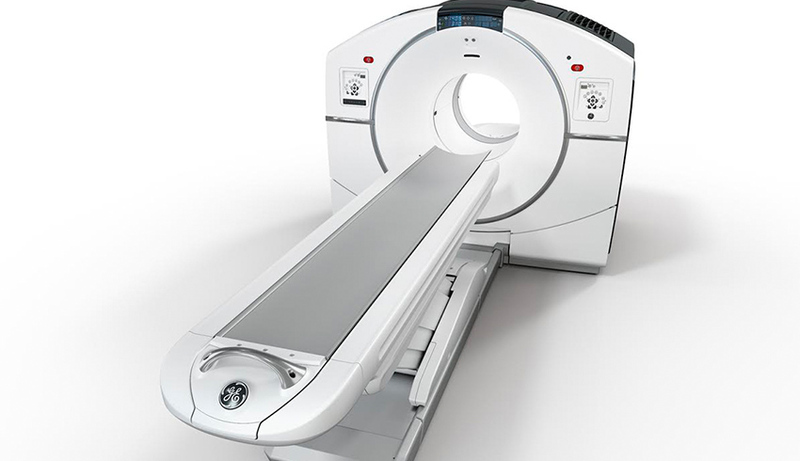 CT scanners are shaped like a donut on its side and are not closed-in like an MRI. Patients lay down on a table and are moved into the machine by a technologist. You may require an injection of contrast medium that will help make the images easier to read. The tech will be able to hear and see you the whole time, and you will be able to talk with them at any time. You may be asked to hold your breath for very brief periods during the exam. After the scan, you can resume normal activities, though you may be instructed to drink lots of water to help flush the contrast medium from the body. You generally do not have to change your normal routine before a CT scan. You can eat, drink, and go about your day as usual. You will most likely need to remove clothing and jewelry before the scan and wear a hospital gown. As a CT scan is not enclosed like an MRI, claustrophobia is generally not a concern for most patients. Available at the following locations. We provide traditional CT Scans for the sinus, face, orbits and temporal bone; the neck; the chest – high-resolution or routine; the abdomen/pelvis; the extremity/musculoskeletal; and the spine. We also provide calcium scoring with the CT Heart Scan. We provide advanced CT services, including 64- and 40-slice systems, for CT urography, CT colonography, and CT angiography (chest, head, neck, adbomen/pelvis, extremities/runoff, and brain). A CT Scan requires a prescription. A CT Scan vs. a PET scan; how do they differ? CT scans and PET scans are actually very different and often serve a different diagnostic purpose. 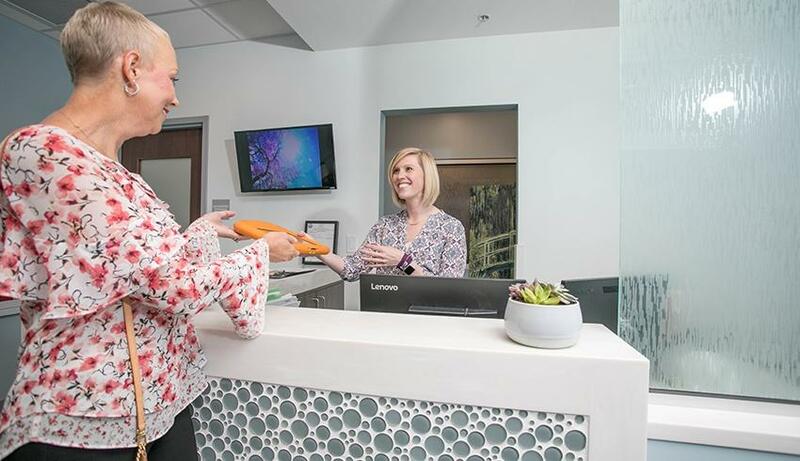 While your doctor will prescribe the scan that most effectively addresses your needs, you might be curious about how they work. Here is a quick guide to help you understand the basics.